Instagram now has over 400 million active monthly users, making it one of the world's fastest-growing social networks. It's already used by many B2C brands, but B2B brands have been a bit slow on the uptake. 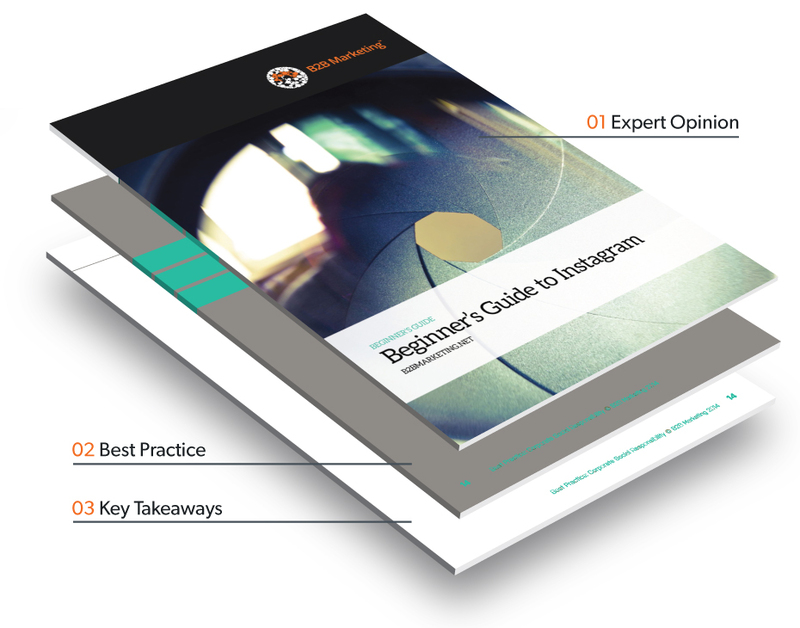 This guide explains why B2B brands should use Instagram, uncovers how to launch a profile successfully and contains a number of practical everyday tips to maintain an engaging presence. In addition, it includes a guide to the basics – including new paid-for options – and lists the five best B2B brands currently using Instagram. Evaluate whether Instagram is the right social network for your brand. Get the basics of Instagram right, so your profile is as strong as it can be. Launch and maintain an engaging B2B Instagram presence. Learn from some of the most successful B2B brands already using the network. "Instagram is a great way to offer your audience a behind-the-scenes look into your company’s culture"